Traveling ... cuisine from around the world: "Brazil - the conquest of Coffee"
The Brigaideiros are typical Brazilian sweets. They are in fact comparable to the bon-bons. 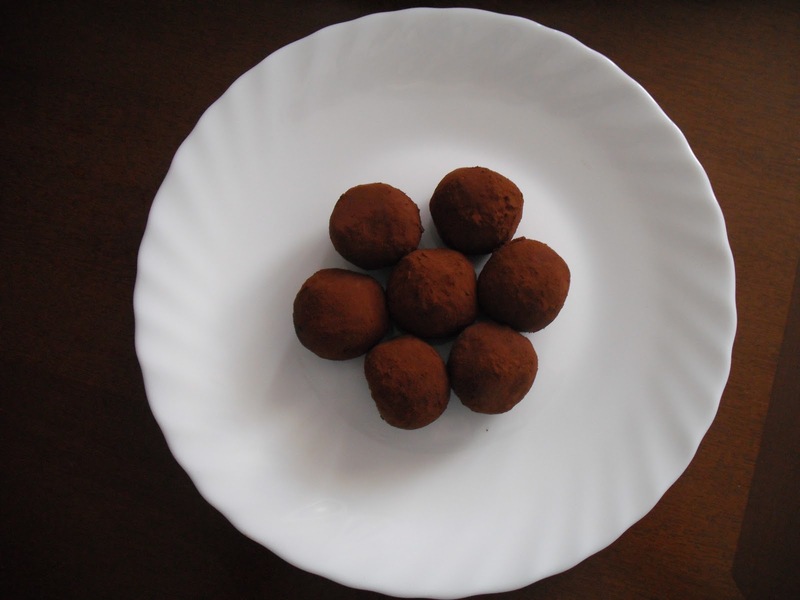 The brigadeiros, however, can have multiple ripeni, caramel, chocolate, cappuccino, etc. from the fruit. So I'm really a must Brazilian cuisine. This version that I present are filled with coffee and nuts, local ingredients that are not lacking in lecture notes of Brazilian cuisine. In a pan with high sides, pour the condensed milk, coffee and butter. Heat everything over low heat, stirring constantly, and making sure the mixture does not stick to the pan for about 5 minutes max. Remove from the heat and add the walnuts. Mix and put everything on a plate to cool just greased with butter. With your hands greased with butter, create and move the balls in cocoa. Let cool in refrigerator until ready to serve. If you want you can decorate with brigadeiros of roasted coffee beans.